Home → Press → Getting Ready for Opening Day! 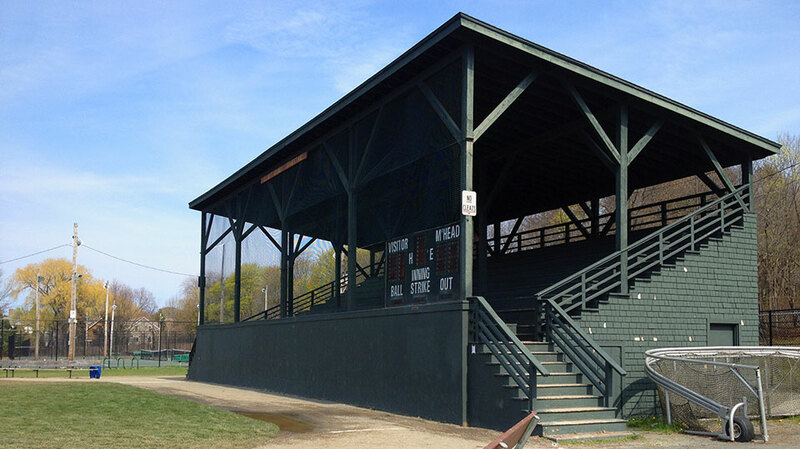 Pretty soon there will be games – 12 home games to be exact at Seaside, when the Marblehead Seasiders begin play in the North Shore Baseball League. Many locals have fond memories of the Marblehead Yachtsmen, who played in the NSBL. The Seasiders will have a direct connection to the Yachtsmen. Tom Roundy, a face very familiar with the ins and outs of Marblehead baseball, has signed on to manage the Seasiders. Roundy is currently an assistant coach for the MHS varsity team under the direction of Head Coach Jason Tarasuik, who by the way is scheduled to takeoff his coaches gear and lace up his cleats for the Seasiders this summer. Tarasuik is slated to be the Seasiders’ designated hitter. For McKane, it’s an exciting time. They are holding tryouts at Seaside the next two Saturdays in May, while still thinking about Opening Day later this month. “It’s been about 20 years since the Yachtsmen stopped playing. Dave Rodgers did a great job. He brought a lot of enthusiasm and energy to that team, and we hope to do that with the Seasiders, as well,” McKane said. The first game at home is on Saturday, May 21, and 11 of the 12 games at Seaside will be played on Saturdays, beginning at 5 p.m. Connor Green, who played for Tarasuik, will be one of the team’s captains. McKane, who also played baseball for MHS, said the club is looking for sponsors and fans alike to hop onboard this season. The team has a website at www.seasidersbaseball.com to checkout for more information about the organization, as well as the upcoming NSBL season. McKane spent 35 years in the San Francisco area, before coming back to Marblehead. He was on Tarasuik’s staff for one season as a pitching coach, and is familiar with some of the more recent players who have passed through MHS. “I would drive by Seaside, especially in the summer, and see it empty, and I thought, this is crazy. We’ve to get baseball back out there – good baseball – on Seaside Park,” McKane said.